The Imperial Beach South Bay Kiwanis are collecting toiletries to help support the San Diego Burn Institute “Camp Beyond the Scars” for ages 5 to 17. 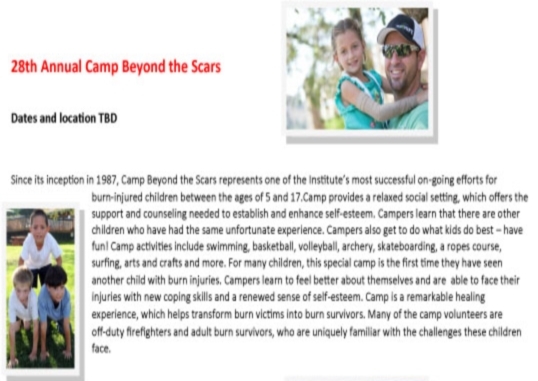 The camp is a great way for kids to let their guard down and enjoy themselves as they experience camp with other burn victims. After they are collected the Kiwanis will prepare 80 individual bag for the campers. If you are interested in donating financially, you can mail a check to: Kiwanis P.O Box 1146, Imperial Beach, Ca 91933 - Please indicate the program you want it to go towards.